I was surprised to read recently that the CIPR is planning to take disciplinary action against members who use the advertising equivalent value (AVE) metric to measure their performance to clients. Forgive me, but does anyone actually still use this outdated form of measurement to demonstrate the worth of their PR services?! I cannot remember when we stopped using AVE, it just became less and less relevant. The digitization of our industry has provided PR with a whole new array of tools, including qualitative and quantitative monitoring and analysis tools. We adopted the PESO model to reflect the trend for user-generated content and the growing importance of digital media platforms and channels. 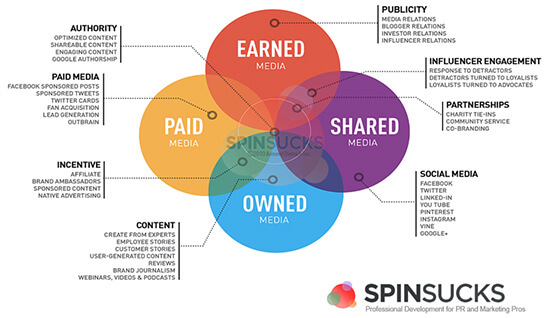 The PESO model takes the four media types—paid, earned, shared, and owned—and merges them together. Paid Media. Paid media for a PR programme is social media advertising, sponsored content, and email marketing. Earned Media. Earned media is what you know as either publicity or media relations. It’s getting your name in print. It’s having a newspaper or trade publication write about you. It’s appearing on the news to talk about your product. It’s what the PR industry is typically known for, because it’s one of the few tangible things done. Shared Media. Shared media is also known as social media. It’s evolving and continues to build beyond just marketing or customer service teams using it. Assign points to things such as likes, retweets, shares, and comments. This gives you numerical data to confirm whether something works. Are people sharing your content? It is important to know this because it provides proof to a new reader that you know what you’re doing. Owned media and paid media can often merge. For instance, a brand ambassador who is being paid to share and promote brand-related content would fall under both categories. With all these different directions to take a PR campaign, it can be difficult to identify the most lucrative path. While there are exceptions where only one method is the best fit for a campaign, a skilled PR pro knows how to identify enough angles. The success comes from being skilled enough to use all PESO methods in a single campaign, as this indicates industry authority. In the PESO model, each channel delivers unique importance. In the earned media realm, public relations practitioners create the opportunity to have your story told by credible, objective, third-party influencers such as journalists, bloggers, trade analysts, and industry leaders. In the social, content marketing and blogosphere, however, its power comes from the polar opposite source: the power of many. The conversation is picked up, shared, and commented on by the social community as your message makes its way from its blog, Tweet, or paid marketing message. 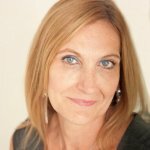 Championed by marketing and public relations thought leader, Gini Dietrich, the PESO model highlights the evolution of the public relations discipline to reflect the ever-changing world of communication. The benefit of the model is that it stops PR teams considering themselves only as brand-enhancers and shows the ability of PR campaigns as business-drivers. The PESO model seems to have closed a gap between PR and marketing, providing a structured framework for creating intelligent, integrated campaigns. We have to accept that the AVE model is no longer good enough. It is now about getting the right content to the right audience and, when needed, pushing it along further via paid. Successful PR practitioners have and continue to adapt by applying the traditional principles of influencing opinion, story-telling, and building relationships while using new communication tools, practices and channels.